CGarchitect, the leading online community for architectural visualization professionals, has released their annual rendering engine survey. The survey queried about 2000 users regarding the render engines they currently use, along with ones they are researching for future adoption. 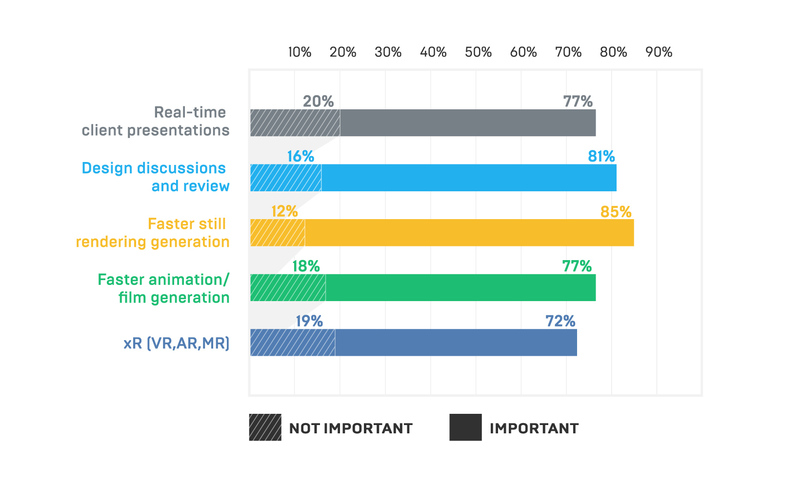 The survey also asked users whether trends like real-time rendering are relevant to their workflows. The survey found that among those doing real-time production, Unreal Engine was the #1 real-time renderer. Question to users doing real-time production: Which real-time rendering engine(s) do you currently use for real-time production? 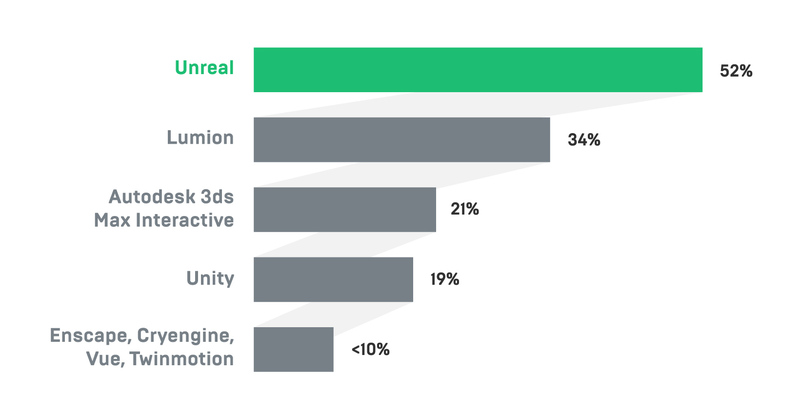 When all users responded about all renderers (both real-time and offline) for all kinds of production, Unreal Engine was the fourth most popular renderer overall, with 1 in 5 architectural visualization professionals currently using Unreal Engine. This is a significant development as real-time solutions are quickly being deployed across the industry for new and old purposes. Which rendering engine(s) do you currently use in production? In fact, this adoption rate has nearly doubled in the past two years. The same survey question from CGarchitect’s 2016 survey showed 10.5% had adopted Unreal Engine for production. Part of this success has been driven by the release of the free Unreal Studio beta and the Datasmith workflow tools included in it. Unreal Studio is a a collection of workflow tools for a frictionless import into Unreal Engine from over 20 CAD packages and other sources, including Autodesk 3ds Max. In 2017, over 15,000 Datasmith early beta users, mostly in the architectural visualization segment, helped refine the workflow that is now shipping in the Unreal Studio beta. 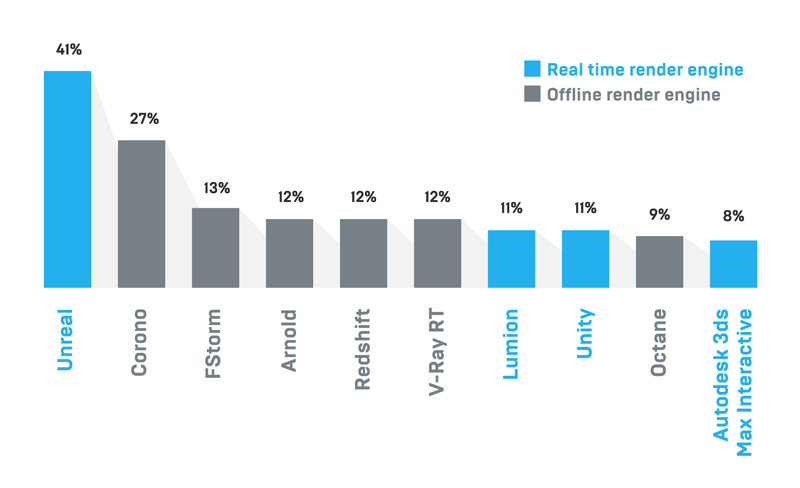 When the same users were asked about which rendering engine (either real-time or offline) they are researching for the future, Unreal Engine is significantly at the top of their list, even above other popular offline renderers. The implications for this is that Unreal Engine will continue to dominate the conversation around rendering and immersive experiences for foreseeable future. Which rendering engine(s) are you currently testing or experimenting with? But why the interest in Unreal Engine now? The survey attempts to understand this shift by asking how important various immersive and real-time related workflows are to them. Perhaps it isn’t surprising that arch viz professionals find Unreal Engine useful for more than just immersive experiences. 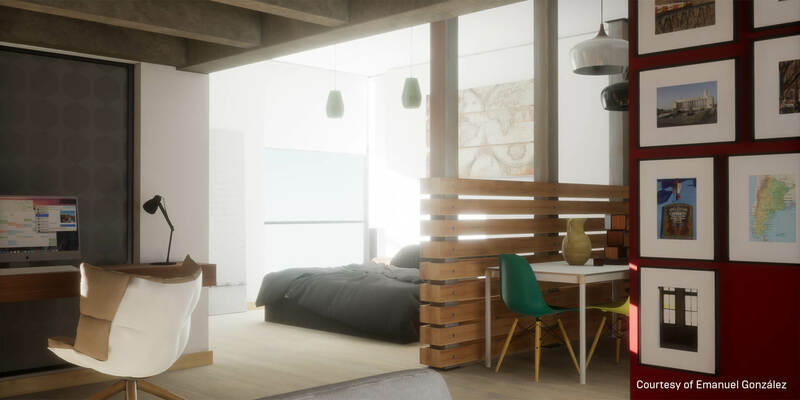 Faster production rendering, real-time client presentations, and a better design review process are just a few of the uses the arch viz community sees for real-time rendering. 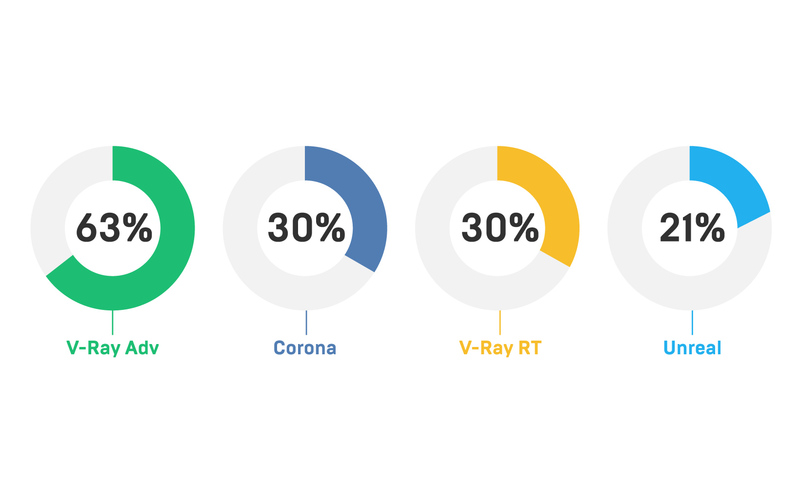 Question: How important are each of these to your adoption of a real-time engine? Get Unreal Studio today while the free beta lasts!